Fabian VanCott is committed to hiring, retaining, and supporting women attorneys. With the full support of the firm and senior leadership, the Women Lawyers Group strives to create business networking opportunities for women, promote leadership roles for women, and provide a forum for the discussion of ideas and issues women attorneys may face. Fabian VanCott’s women attorneys are represented in nearly all of the firm’s practice areas, from senior shareholders with over 30 years of experience, to young associates who are building and expanding their practice. 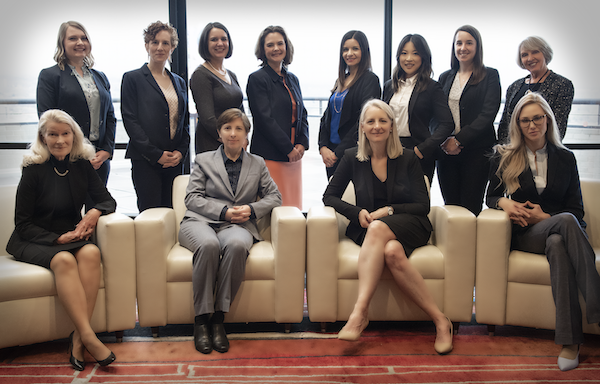 The Women Lawyers Group not only cultivates the success of women attorneys, but it contributes to the firm’s financial health, strengthens the firm’s culture, and better serves firm clients. Members of the firm’s Women Lawyers Group can be found by clicking on the Attorneys link on this webpage and then clicking on the attorney’s name for additional information. Rachel Anderson is currently serving as the Chair of the firm’s Women Lawyers Group. She can be contacted by e-mailing: randerson@fabianvancott.com.